While you’re looking through furniture catalogues for ideas to spruce up your home for spring, here’s one to consider- improve your carpets and upholstery. 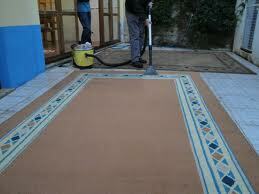 At Carpet Cleaning City of London, we do much more than clean your carpets – we give them a complete makeover. Buying a few new pieces of furniture or decorations only allows you to update specific parts of your house. On the other hand, carpets and upholstery cover so many square inches of your home, so a visit from our carpet cleaning experts will transform your entire home. This means you can stretch your decorating budget to cover the entire house and still have some money left-over. By getting your carpets cleaned, you’ll not only improve how your house looks but you’ll also be investing in your family’s health. A steam cleaning session using our latest equipment removes dirt, bacteria, mold and other potentially harmful substances from your carpets and furniture upholstery. Even though you might regularly vacuum clean your carpets, it’s very likely that there are plenty of nasty things still left behind. Home vacuums do not have the power to remove dirt that is deeply ingrained in the base of your carpets. 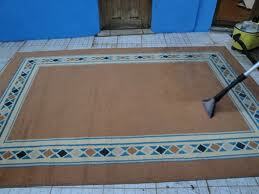 Vacuum cleaning also has little effect on bacteria and other microorganisms. To really sanitize your carpets, steam cleaning is the only effective technique and this is exactly what Carpet Cleaning City of London specializes in. We’ll beat your best price! *The costs above are valid about City of London. They include the required labour (cleaning hours). If additional time is needed, then supplementary costs will be applied. Minimum charge applies. Quotes over the phone are formed based on the supplied information. Our company has years of experience in the carpet cleaning business, so you can rest assured that we know just how to make your carpets look good. Our cleaning technicians are trained in using the latest carpet cleaning techniques to improve different types of carpets. Whether your carpets are made of natural or man-made material and regardless of the condition they are in, our technicians will select the right solutions and techniques to remove dirt and stains, leaving your carpets looking completely transformed. In addition to an overall revamp of your carpet and upholstery, our cleaning service can make a noticeable improvement to specific trouble-spots. With your active family and busy life, it’s inevitable that accidents and spills occur. To complement our steam cleaning techniques, we have a wide range of solutions and stain removal methods that effectively remove or reduce the appearance of different types of stains. Make an appointment with us and we’ll send a team over to evaluate any problem areas and give you an honest assessment of how we can make a difference. As the centre of your home’s interior, a bright, stain-free carpet will completely revitalize your decor. Considering the significant impact that our cleaning services will make to your home, you’ll find the cost of our cleaning services surprisingly affordable. In fact, we are so sure you’ll love the way your carpet looks that we’ll give you a 100% guarantee on our services. At Carpet Cleaning City of London, we believe that everyone has the right to clean carpets and our services are priced reasonably in order to make that happen. Call us to find out more about how Carpet Cleaning City of London can make a difference to your home.